I really like no. 3. She is very classy. 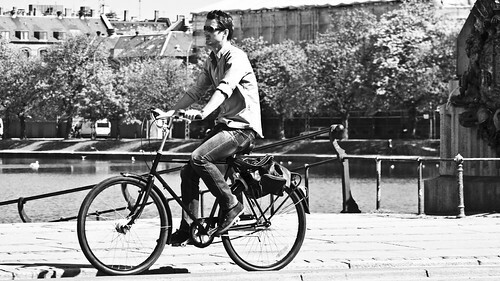 The guy in the cargobike is completely tense - he's obviously not had enough beer yet. I have to share something I saw sometime ago. 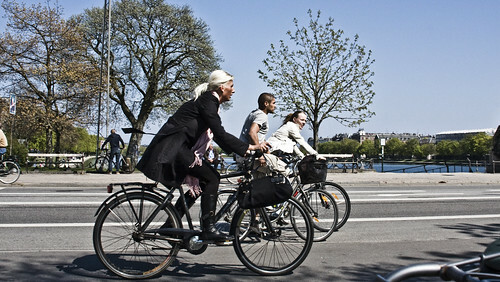 A kid was in a Christianiabike, yelling to his father, who was pedaling: "På to hjul, far!" (on two wheels daddy! ), after which the father took a right turn on the rear and right wheel - that means the outside wheel in the turn was airborne. Radical. 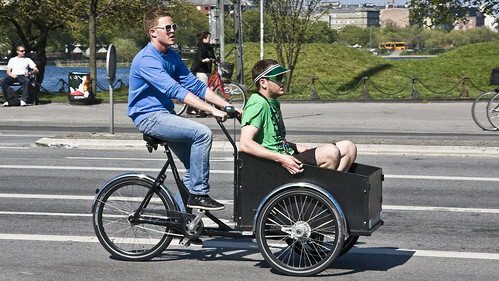 Do any of you have videos of tricks on cargobikes?